BELLYDANCE.COM EXCLUSIVE! This truly plus size chiffon hip scarf if was custom designed by our costumers to fit our Goddess Size dancers! With all the shiny coins, you won't just look good, you'll sound good too! 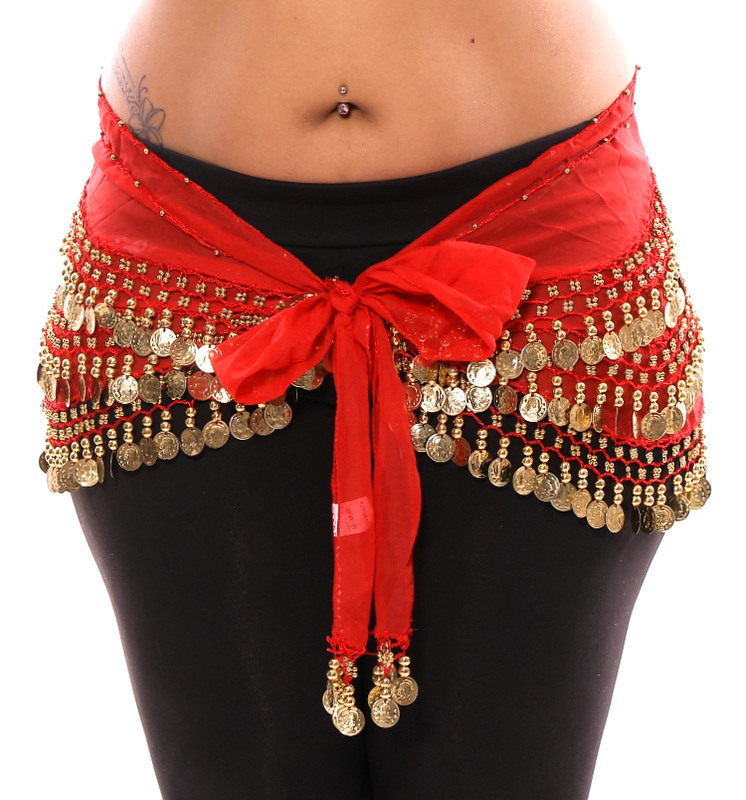 Great for any style of Belly Dance, Zumba fitness class, and more. Chiffon base with intricate bead work and coins sewn on in a wave pattern. I love this scarf! I'm a size 22 and it fits perfectly! I was worried that it would be too small, but it's perfect for plus sized dancers. This scarf was purchased for student use, and I've had to re-order twice, because my dance-friends all want one. Lovely colour, photographs well on stage, and so far, very durable. The 40" decorated area fits most women much better than 'standard' size, and I would recommend it for any new dancer. love it! I got it quickly.